We’ve got a little over two weeks until Xiaomi launches the Mix 2s. The smartphone is a regular feature of the rumor mill; with a lot of details available for scrutiny. These, suggest some very necessary upgrades for a true flagship classification. While the Mix 2 is a great smartphone, it does not deliver across all quadrants. Camera performance for one is not at par with what you’d expect from a smartphone with flagship hardware. In addition, there’s no wireless charging and the display is LCD. Xiaomi will change most of these on the Mix 2s, particularly camera performance. Today, we’ve got more alleged images for the smartphone. Take a look below for details. Right now, there are three rumored features which catch our eye when we talk about the upcoming Xiaomi Mi Mix 2s. The first of these is the most important. The Mix 2s desperately needs a camera upgrade, if Xiaomi intends for it to take on the giants. For this, we’ve got a lot of good news, both from Xiaomi and the rumor mill. The company promises depth of field capabilities for the Mix 2s and the rumor mill believes that this year, we’ll get a dual camera sensor on the Mix. 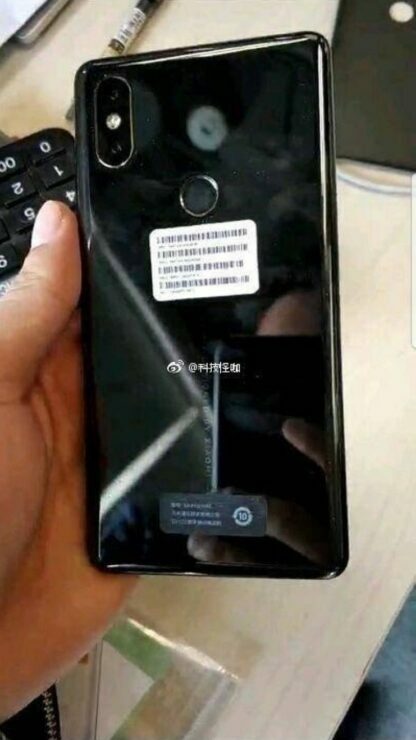 Today’s image leak confirms just this for the Mix 2s. However, it bears bad news when we take a look at another highly hyped feature. 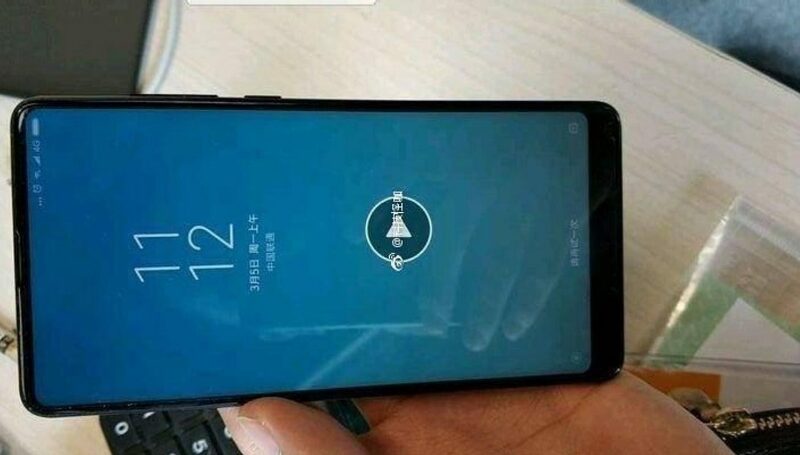 Some of the earliest leaks for the smartphone claimed that the Mix 2s will also change the front camera sensor’s position, to a more aesthetically pleasing top right. Now, we’re afraid that this might not be the case. As you can see, today’s leak promises a dual camera setup and a front camera sensor placed at the bottom of the Mix 2s. What’s more interesting is that the Weibo page where these images surfaced does not exist anymore. So, since only authentic leaks ruffle feathers, we just might have struck gold today. Overall, the Mix 2s’ form resembles what we’ve seen in earlier leaks, with a similar build and materials as its predecessors. The original Mix 2 is an aesthetic treat, and its successor will follow in this particular department. This is natural, since Xiaomi will launch only a ‘S’ upgrade later this month. This, will take on Samsung’s Galaxy S9 and Galaxy S9+. If camera performance lives up to hype, then expect a lot of heads to turn. Heads which do not prefer OLED or wireless charging. Thoughts? Let us know what you think in the comments section below and stay tuned. We’ll keep you updated on the latest.